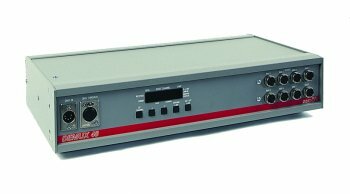 SmartFade compact lighting control console, from ETC. 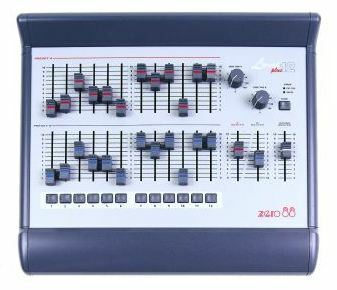 This is a compact console with serious power. Easy to use, powerful to play with - including a rich special-feature set when you need it. This console handles a larger dimmer count with ease. 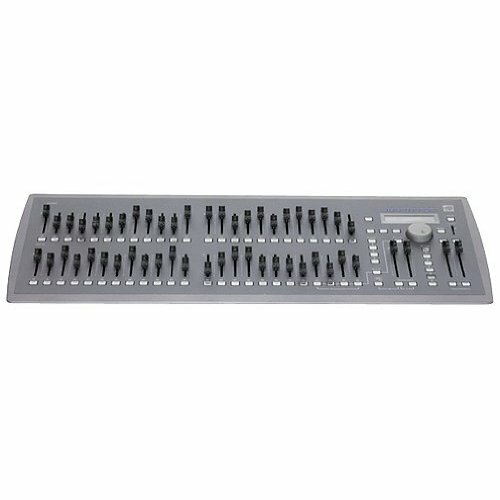 With simple access to control channels via individual faders, this console suits larger venues that need simple two-scene or single scene operation. The Alcora offers a perfect introduction to theatre-style memory controlled lighting, providing the option to run as a two-preset 12 or 24 way desk. 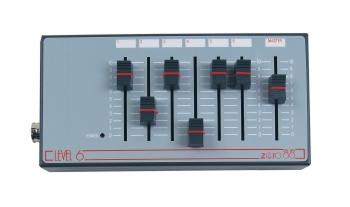 12 channel two Preset Desk with Flash Buttons. 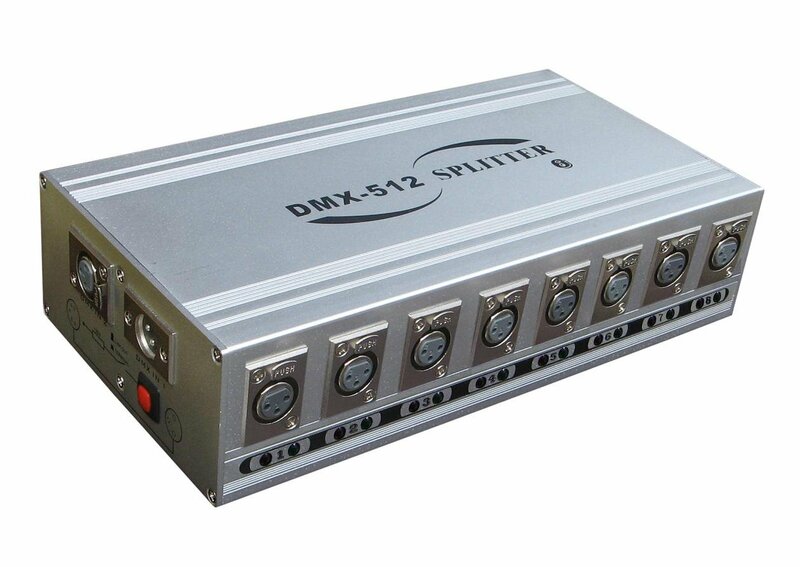 DMX output. The Scene Pilot is usable as stand-alone control for scanners, moving heads and architectural lighting. 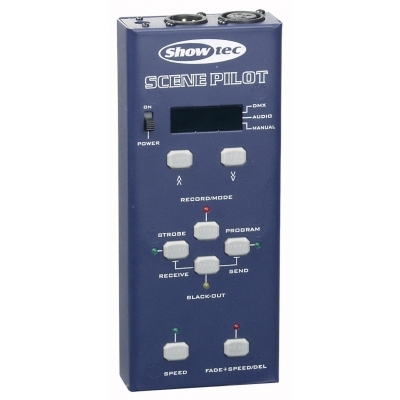 First, connect the Scene Pilot to a DMX controller. Now you can download 2 x 9 programs with 48 steps to a max. of 96 DMX addresses. After downloading, all 18 shows can easily be controlled by music or speed. The Level 6 is an excellent value manual lighting control desk and is perfect where minimal control is all that is required. The Pearl Expert is high performance. Built upon the user friendliness of the industry’s most popular console. 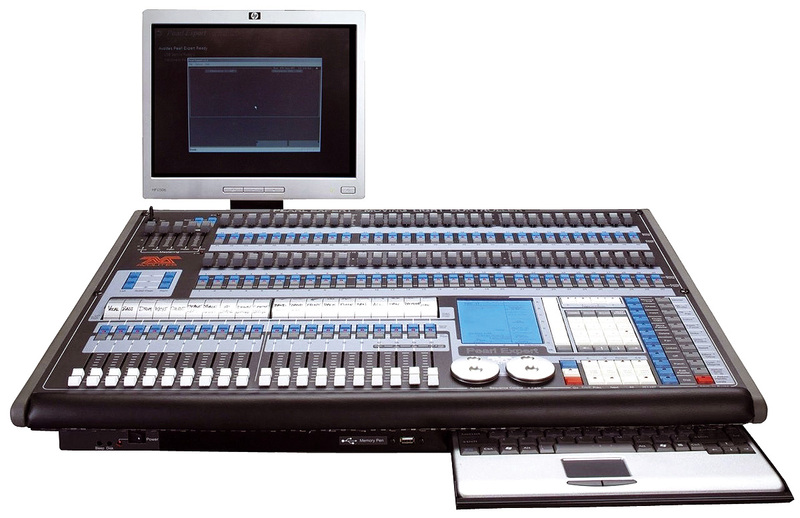 More submasters, more flash buttons, MORE POWER to control the larger more challenging shows. The Pearl Expert, the product of Avolites expertise facilitates spontaneity putting live control and creativity firmly into the hands of the lighting designer. High speed button response, dual rollers and instant access to the vast array of timed palettes, breathes life into lights..
Latest generation Frog consoles with generic dimming control and capability for 200 moving lights. The ETC SmartFade ML offers professional moving light control in a compact, lightweight package. 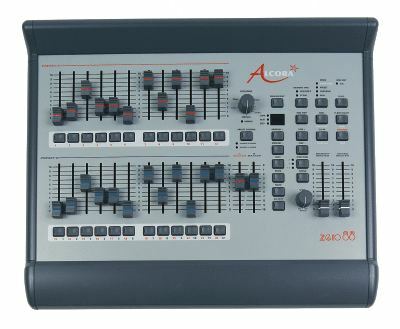 Direct access controls including color-coded backlit elastomer keys and encoder or fader control of moving light parameters, memory driven operation and built-in effects make SmartFade ML perfect for small gigs, meetings, parties, and other events where conventional and moving lights are used. 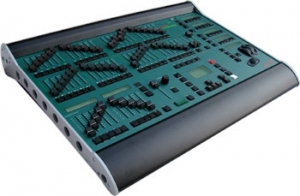 The Jester provides users with a powerful set of programming and playback tools in an easy to use and economical lighting console. More than just the Industry Standard for lighting control software, Sunlite is one of the best all around DMX control software available today. The intuitive windows-style user interface allows users to quickly and easily learn this powerful and efficient DMX control solution, and many one-of-a-kind programming features will not only make possible the complete realization of a lighting vision, but also expand the realm of what is possible. Sunlite features incredible multimedia capabilities; MIDI, DMX and external triggering, the best audio to light functions, effect generators, 3d Visualizer, timeline-based programming, Calender-based activation,and much more. 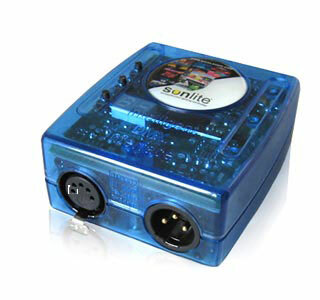 Sunlite can operate with a USB or Ethernet interface as well as using the ethernet-based art-net protocol. 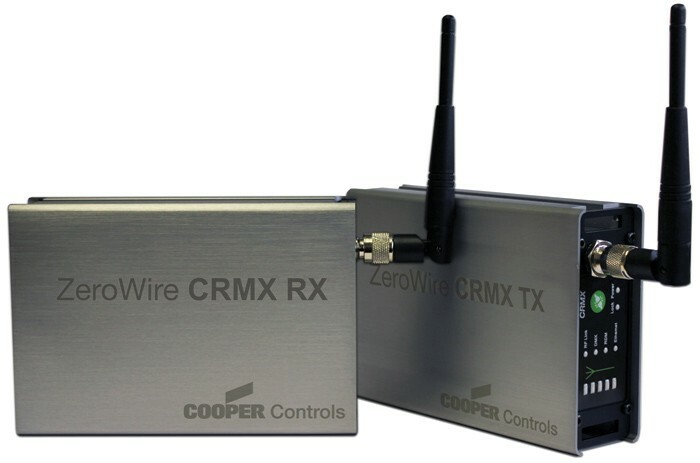 Zero Wire DMX is a compact wireless DMX solution, enabling wireless control of any DMX device (dimmer, LED fixture or moving head). The system operates via Wifi, on the international licence free Industrial Scientific & Medical Spectrum (ISM) within the 2.4GHz spectrum.